This is a thermo hygrometer, this is a vital part of ensuring that a water damage job is progressing correctly. 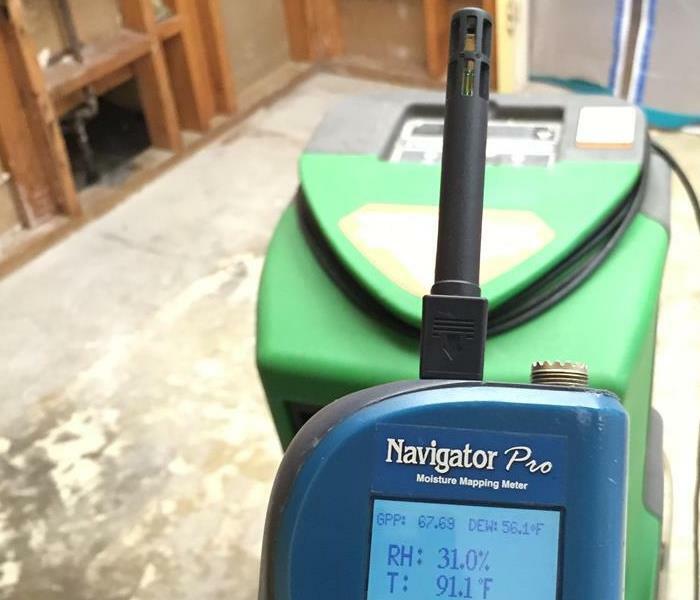 Not only to we measure the moisture content of building materials such as drywall or carpet, we also measure the "air" inside the damaged areas but also outdoors and the machines that are working in the damaged areas. We monitor each job every day to ensure that the job continues to make drying progress. The relative humidity and temperature is taken from each room, outside, and equipment placed every day. Here is inside look at one of our office areas in Oceanside. Come by any time for a cup of coffee and say hello. SERVPRO of North Oceanside's contents storage area's. 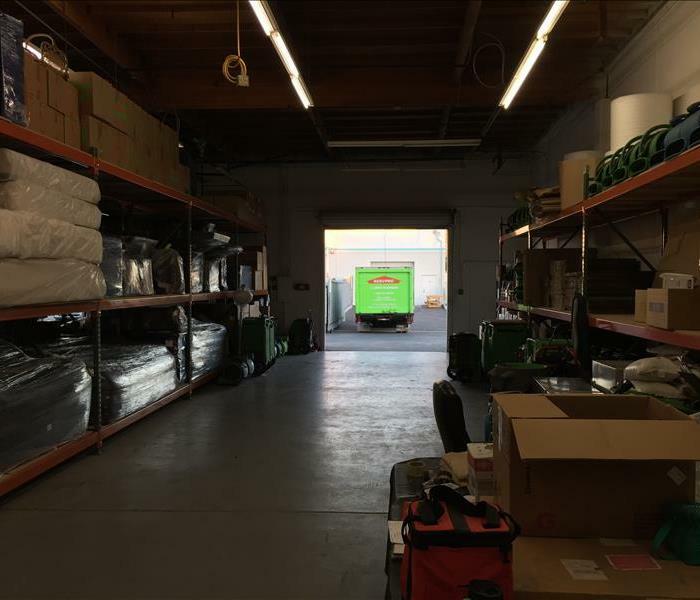 Not only does SERVPRO of North Oceanside perform water damage services, we also handle full pack out and storage services while buildings reconstructed. 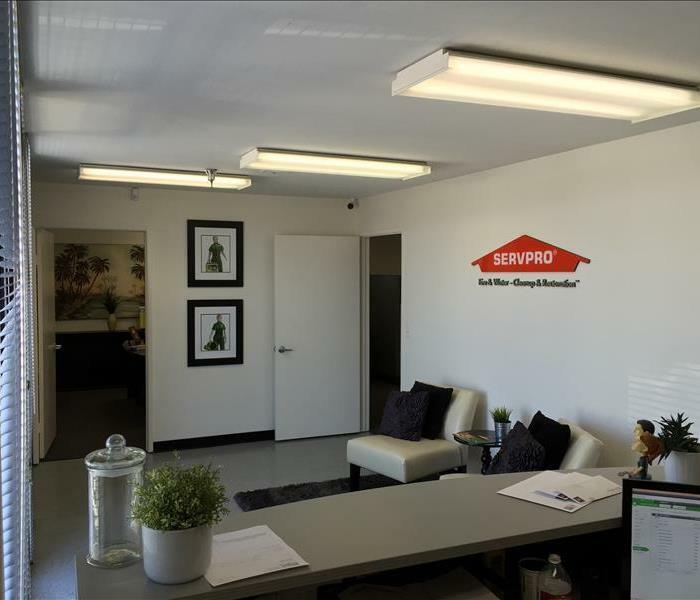 SERVPRO of North Oceanside prides itself in serving our community of Oceanside. 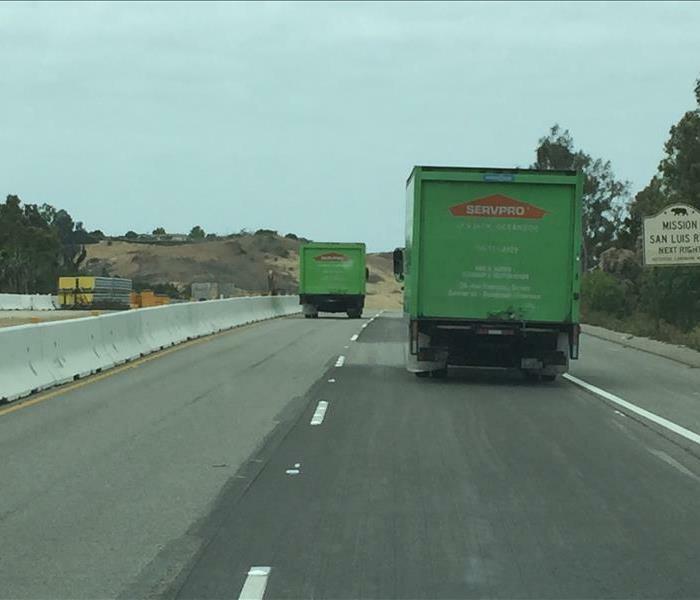 SERVPRO of North Oceanside travels any distance to help people with Water Damage. 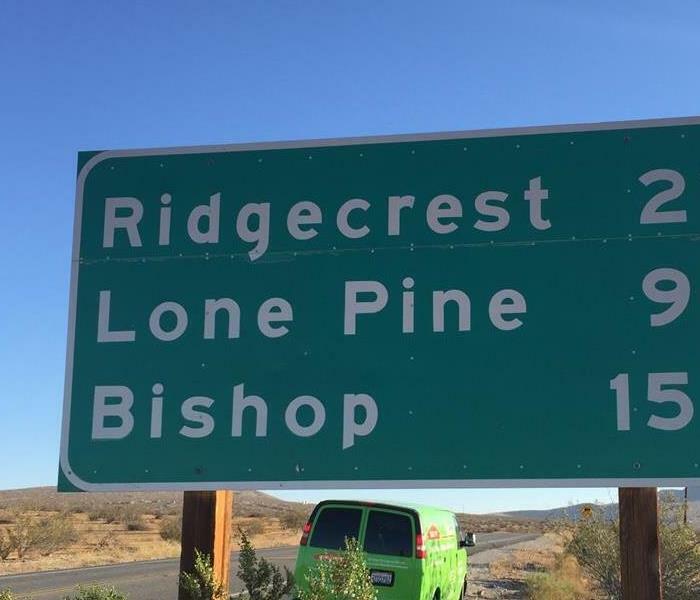 We recently headed out to Ridgecrest from Oceanside to assist a client. SERVPRO of North Oceanside was called in to perfrom the post construction final cleaning of this federal building before it was turned over to the U.S. Government for operations. The tenants were evicted from this home. They turned on the upstairs bathroom sink and locked the door on their way out. Amazing how much damage water can do in a matter of days. Emergency board ups don't always happen when its convenient! This one was serviced in the middle of the night in Oceanside. Look carefully at the green area on this copper pipe in Oceanside. 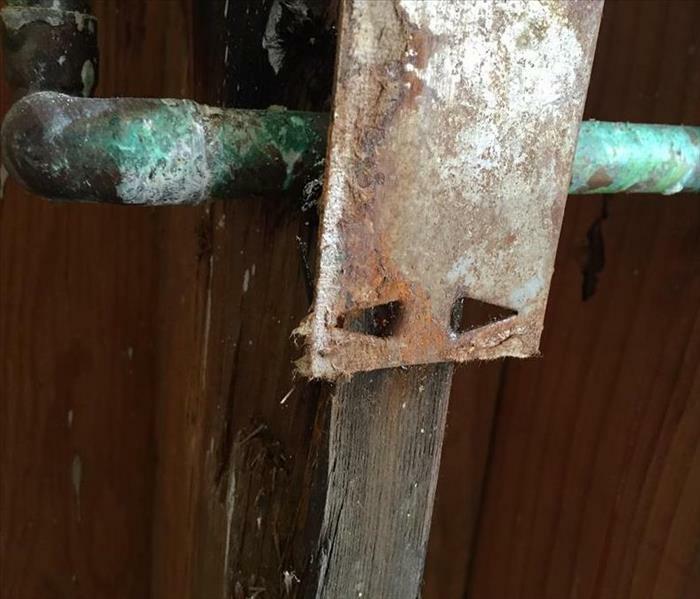 If you see this its a good idea to fix it before it floods your property.